There are two basic methods for laying our terracotta tiles, depending on which series are to be laid and the surface area. We advise a minimum of 10 mm joint between the pieces when laying, since terracotta is a natural material and has contractions and dilatations due to temperature changes.The product used in these joints should not contain pigments as these can penetrate the terracotta tiles and stain them. If the area to be laid on is irregular, it has to be levelled. For this a layer of more than 5 mm. of mortar must be used, terracotta tiles are then fixed directly, and this is known as “THICK COATING”. The inconvenience of laying by this method is that you must wait for both the mortar and the terracotta to be completely dry before sealant treatment can be started. 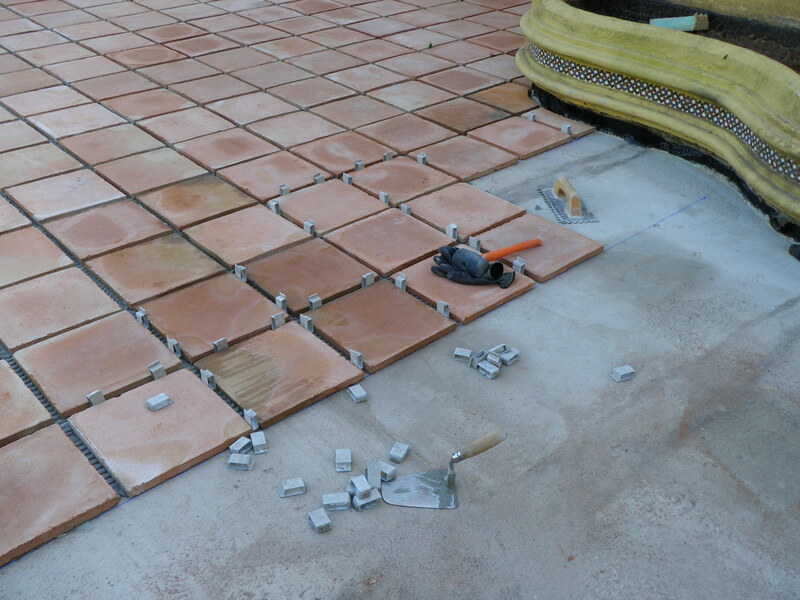 If the area to be laid has an even and sufficiently levelled surface terracotta tiles can be fixed using a coating of approx. 5 mm. of adhesive, which is known as a “THIN COATING”. This method allows quick drying and the product doesn’t have to be wet during the fixing. This means that the appearance of efflorescences is avoided and treatment can be started earlier. It could be recommend to lay terracotta tiles with thin coating since the whole process of laying and treatment is faster. All our pre-sealed machine tiles have to be laid with a thin coating. 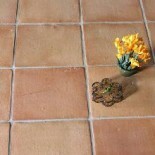 This entry was posted on March 14, 2013 by Living Terracotta in Installation tips and tagged how to fit terracotta tiles, how to lay terracotta, laying terracotta.